Boutte Tree has always provided free visual assessments to owners and managers of trees to help them evaluate the risk of their trees along with our free estimates. But there are times where a more in depth evaluation is necessary. Perhaps for insurance reasons the risks of falling trees must be kept very low, or for a certain tree the consequences of the tree falling would be disastrous. In these cases, Boutte Tree’s arborists, utilizing the latest in technology and equipment, can provide you with more information. Trees can fail in a variety of ways as pictured at left. 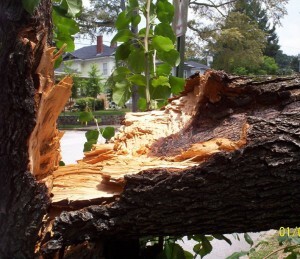 A skillful Arborist will know which type of failure is most likely for a given tree and be able to provide meaningful advice about the ways to lower risk for the particular kind of failure anticipated. The following is a list of tools and the information that they provide. Coupled with an arborist’s professional evaluation, you can decide what must be done with your tree and rest easy that all due diligence has been exercised. Root excavators use pressurized air to blow soil away from the roots right next to the trunk so that the root system can be evaluated for rot, fractures, and other signs of weakness. The use of air prevents the roots from losing bark in the process of digging. 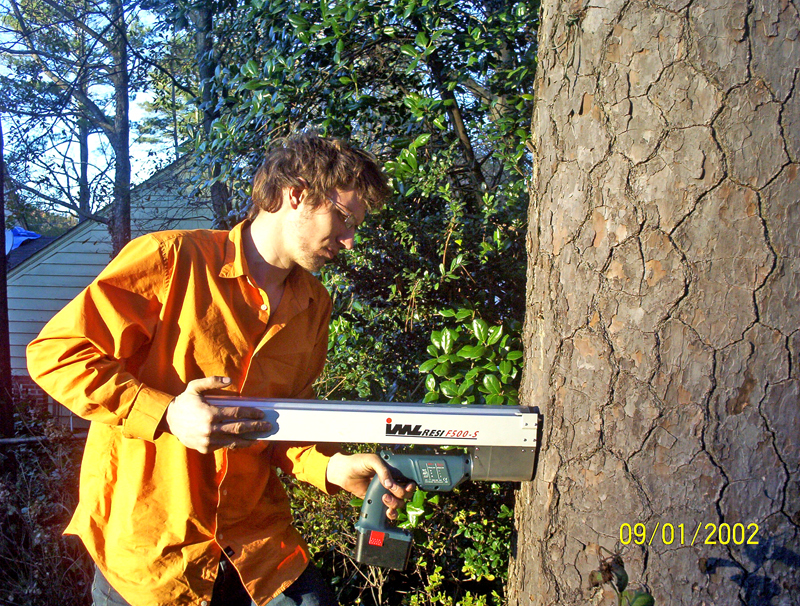 Lean Indicators are simply gauges that are installed to measure the lean of a tree as time goes by. Sometimes the movement of trees is gradual, and usually in the months and years before a tree falls, the root plate bulges upward on the back side and the tree tilts imperceptibly in the direction of fall. These gauges provide a reference for measuring lean over time. Lab analysis of infected leaves or other tissue can provide an arborist with the knowledge he or she needs to recommend chemicals, fertilizers, or other treatments. A risk assessment involves a two step process of a visual inspection of the tree. The first stage is the visual inspection of the tree for defect symptoms and vitality. If problems are suspected, on the basis of symptoms a thorough examination is carried out. If a defect is confirmed it is measured and the strength of the remaining part of the tree is tested. The key difference is in the ability to not only detect defects but to determine the strength lost. This is done by structural testing using the Resistograph®. 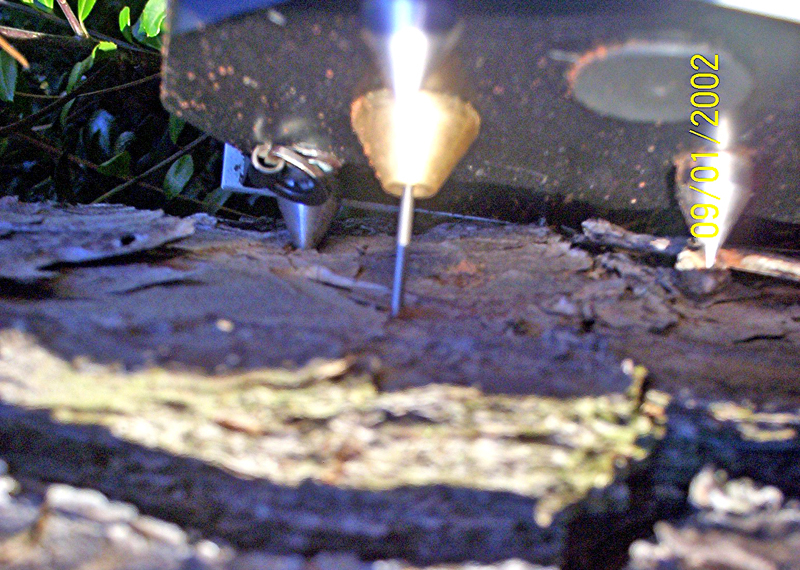 The Resistograph® is an assisting instrument in terms of testing decayed and hollow areas in trees. 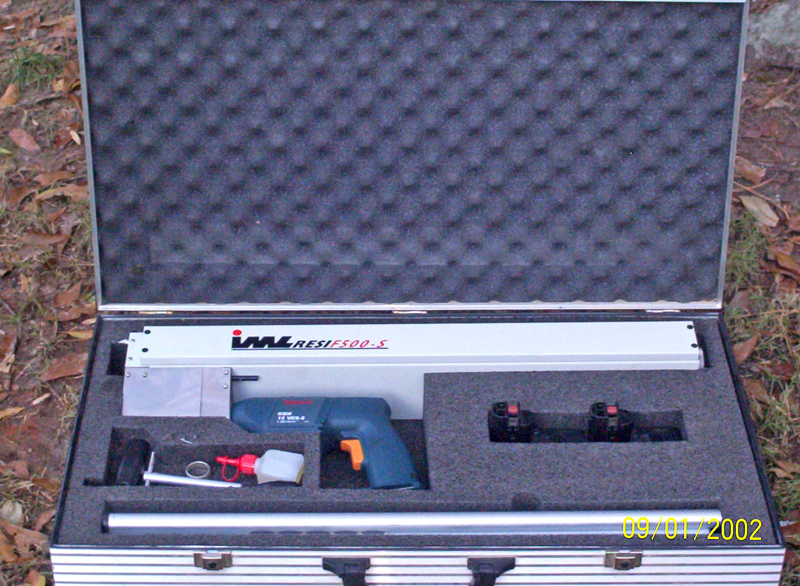 The Resistograph® measures drilling resistance as a small diameter needle penetrates the wood at constant speed. 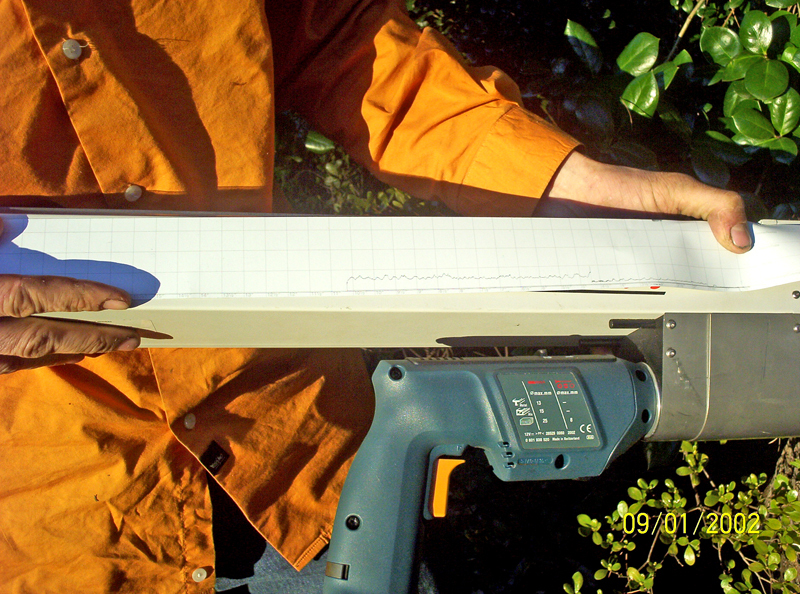 Resistograph ® can drill up to a depth of 16 inches. However, injury to the wood is minimal as the hole left by the 1.5mm-3mm diameter needle is very small. The sawdust remains in the bore hole which closes the canal.